Also, DOH added a fourth clinic to the three it had already named as recipients of the drug. The compounder that made the suspect drug, Main Street Family Pharmacy of Newbern, Tenn., has voluntarily recalled all its "sterile" products, those that must be prepared and kept in a pristine environment because they will be injected or infused into the body. DOH identified the facilities that received the Main Street shipments as: Southern Healthcare Rural Health Clinic of Bonifay, Family Health Care of Chipley, The Back Center of Melbourne and Dr. Parvesh Bansal, also of Melbourne. Department epidemiologists are working with the facilities to identify and notify patients who may have been exposed, the release said. None of the patients were named. The Tennessee compounder had a pharmacy license in Florida and at least a dozen other states where the drugs were shipped. 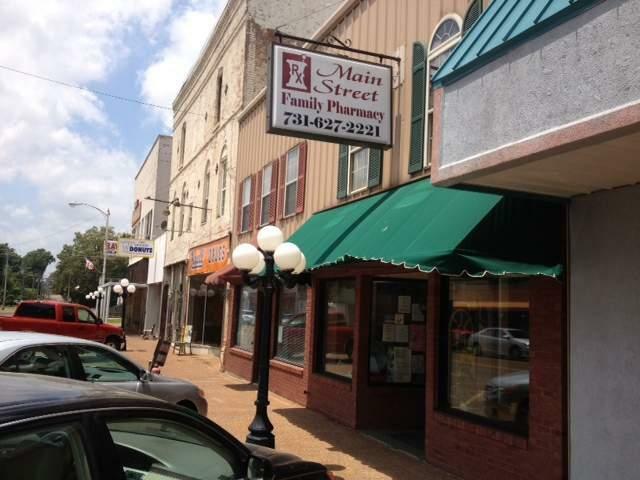 Main Street Family Pharmacy was cited for safety violations by Tennessee pharmacy regulators twice before, in 2011 and 2012. The pharmacy was placed on probation and fined. But Tennessee's health department did not shut it down, nor did it tell the other states about the problems. If Tennessee had notified Florida DOH, the agency could have initiated action, said spokeswoman Ashley Carr. But She said Florida received no word of the discipline from Tennessee. Woody McMillin, spokesman for the Tennessee Health Department, acknowledged, "We do not typically notify states of all disciplinary actions." The compounded drug that is currently creating problems, methylprednisolone acetate (MPA), is the same one that launched a nationwide epidemic of fungal meningitis last year; its toll as of May 6 was 741 cases in 20 states with 55 deaths. The pharmacy in that case, New England Compounding Center, is now closed. None of the patients in the current outbreak has been diagnosed with fungal meningitis, the DOH release said. In last year's outbreak, most of the patients had been given the steroid shot in the spine, as a painkiller. In the current outbreak, the solution was injected into hip and buttocks muscles. As of last Friday, when the news of the latest outbreak first became public, only seven infections in two states, Illinois and North Carolina, had been reported. No national case count update was available Wednesday. The latest outbreak comes at a time when the practice of compounding drugs is being scrutinized by the states and Congress. The Food and Drug Administration says it lacks authority to regulate compounders, because courts have said they are pharmacies, which are regulated by states. However, the original idea behind compounding -- custom-tailoring a drug to a particular patient, based on a doctor's prescription -- has been stretched. Now, many of the compounding pharmacies are functioning as unlicensed manufacturers, FDA and state health officials say. The Tennessean reported Wednesday that doctors in that state said they had found no infections so far. One said he used the steroid shots for things like asthma and poison ivy. As Health News Florida reported in December, about half of Florida's 9,000 licensed pharmacies engage in compounding to some extent, and 950 of those are in the high-risk category because they make drugs that must be produced in ultra-clean facilities and kept sterile. One-third of the high-risk compounders licensed in Florida are based in other states, shipping their products to hospitals and clinics. --Health News Florida, www.HealthNewsFlorida.org, is published by WUSF Public Media. Editor Carol Gentry can be reached at 813-974-8629 (desk) or 727-410-3266 (cell) or by e-mail, cgentry@wusf.org.